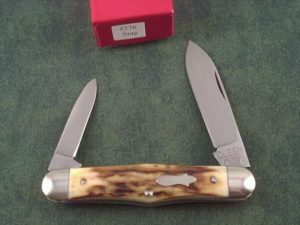 Queen Cutlery has two classes of quality when it comes to their current knives. This is the economy line and is meant to look good while working hard. 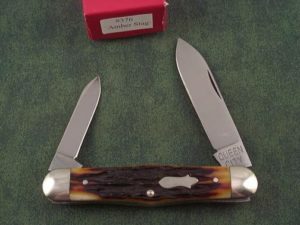 These Queen knives will have a lower priced set of handles and skip some finishing steps that would be desired for those “Sunday go to meetin’ knives”. These are meant to be put in a pocket or toolbox and put to work. And they are a great value at their price point.